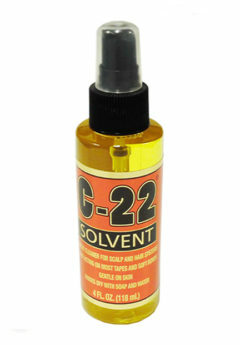 Liquid Gold Bond Dissolver/Remover (8 oz) / Dozen - Super Hair Factory Inc. 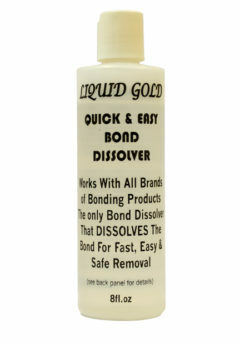 Liquid Gold Bond Dissolver is able to quickly and easily remove bonding glue without damaging natural hair. 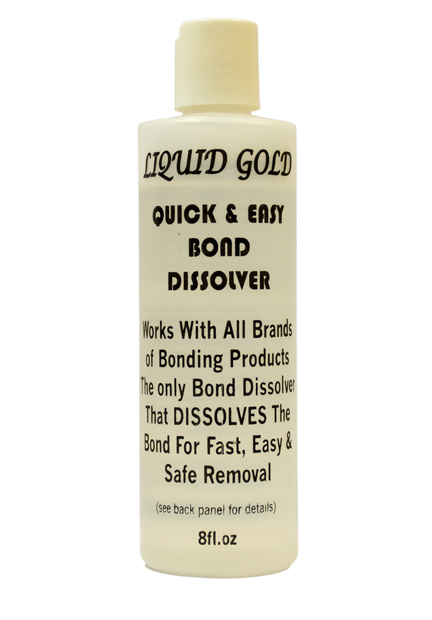 It is also the only bond remover capable of removing Liquid Gold Bonder, which is much stronger than other brands of bonding glue. Other brands of bond removers often remove hair extensions, but leave the bonding material clinging to one’s natural hair. The sticky paste of bonding material must then be combed away, which can result in breakage and damaged hair. 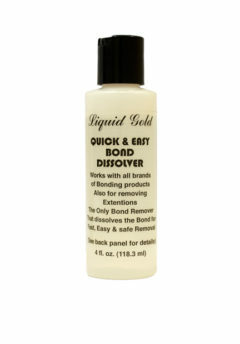 Liquid Gold Bond Dissolver/Remover cleanly removes bonding glues by adhering to hair extensions rather than natural hair.